So, Family Guy is still on TV, in case you were not aware. We don't have much opportunity to talk about animated network TV series on Android Police, but the most recent Family Guy episode featured an amusing dig at Samsung. Here's the punchline spoiler: Samsung's phones are really big. Ha. Jokes, I like jokes. The clip below contains the funny part. Apologies if it's region-blocked for you. See, Samsung's phones are so big they might as well be cars. And Peter and the gang are in Korea, so Samsung and Kia are easy targets. Now that I've explained the joke, you will surely understand the humor. Eh? In fairness, some of Samsung's phones are hilariously large. I mean, have you ever seen a Galaxy Mega? Those things are essentially jokes all by themselves. Maybe not cars, but they're at least tiny skateboards or something. 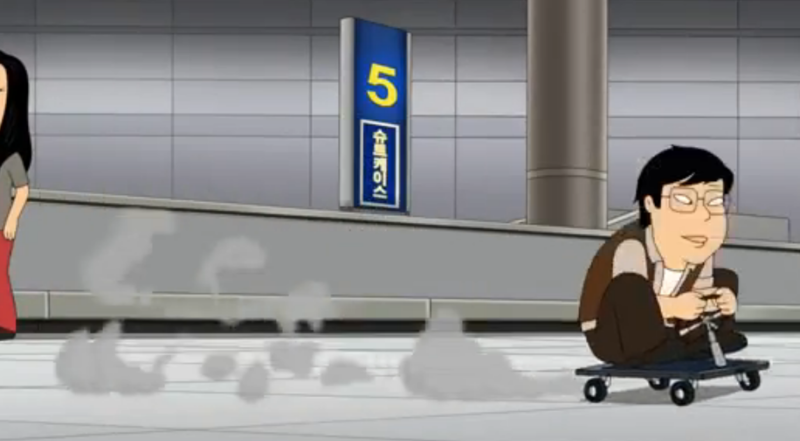 As a bonus, Peter also rides a Marshmallow at the end of the episode. I guess that's kind of Android-related. You can watch the full episode with a Hulu subscription.